If you have made the jump to a Sniper EFI conversion on your 258ci Jeep engine you are probably loving it. How about if you could love even more? That’s right, the addition of a Holley Sniper EFI HyperSpark distributor is just the ticket to add timing control to your system. This distributor is designed specifically for the 258ci Jeep application and you’ll not only get a reliable unit, you’ll get a powerful unit. There’s a HyperSpark CD ignition box creating 535 volts of juice and a HyperSpark ignition coil that launches 45,000 volts to the spark plugs. This is real deal stuff! The distributor is billet aluminum, made with the highest tolerances in the industry and is guaranteed to drop right into your Jeep engine. Have you gone to EFI? Finish the job with HyperSpark! Holley is pleased to announce the release of Sniper EFI HyperSpark Distributors for 6-cylinder Jeeps®, the ideal way to effortlessly add timing control to virtually any Sniper EFI installation through plug-and-play technology. 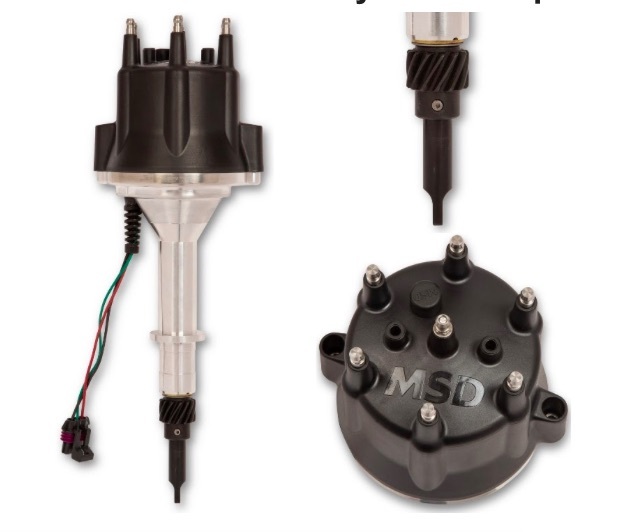 Designed specifically for 258 cubic-inch Jeep engines, these kits utilize a high-output HyperSpark CD Ignition Box, which produces 535 volts of primary voltage, and a HyperSpark Ignition Coil, which send 45,000 volts worth of fuel-burning power to the plugs. The billet aluminum distributor housing features a Hall Effect crank-signal sensor that delivers a noise-free RPM signal, and the shutter wheel is pinned and welded to the shaft for years of reliable accuracy. Rough Start: This Hillclimb Ready Monte Carlo Is Your Ticket To Heaven What Is The Science Behind Rolling Coal? Donut Media Tackles The Smokeshow!